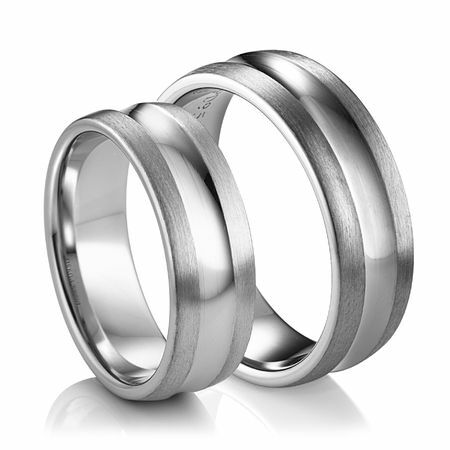 A very modern styled palladium wedding band set! 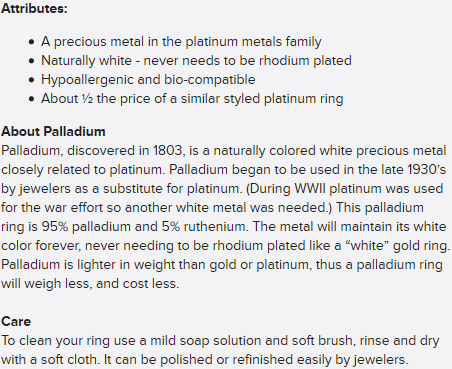 Of course you know the benefits of palladium - never yellowing like white gold, but at a fraction of the price of platinum. These rings are from noted bridal jewelry designer, Diana Classic. Measuring 7mm wide with an attention grabbing design. A bit wide for some ladies, but just right for others! Most sizes will be available to ship within one week.